LAGOS (AFP) – Schools attacks in northern Nigeria have grown more frequent and deadly this year, forcing thousands to abandon their education, with most of the violence blamed on Boko Haram Islamists, Amnesty International said Friday. “This year alone, at least 70 teachers and scores of pupils have been slaughtered,” the London-based watchdog said in a new report. “Thousands of children have been forced out of schools across communities in northern Nigeria and many teachers have been forced to flee for their safety,” Amnesty’s deputy Africa director Lucy Freeman said. The report comes less than a week after heavily armed gunmen stormed an agricultural college in Yobe state in the northeast, Boko Haram’s stronghold, slaughtering 40 students as they slept. The name Boko Haram, roughly translated, means “Western education is forbidden” and the group has repeatedly attacked schools and universities in its four-year insurgency. “Between 2010 and 2011, attacks were mostly carried out when schools were empty. However since the beginning of 2013 they appear to have become more targeted and brutal,” the rights group said. A massacre at a polytechnic college in the northeastern town of Mubi in October 2012 marked a new level of brutality for such attacks. Extremists, likely from Boko Haram, ordered students to leave their dorms in the dead of night, slitting some of their throats while shooting others, leaving more than 40 dead. An official in northeastern Borno state, where Boko Haram was founded more than a decade ago, told Amnesty that 15,000 students in the area have quit school amid the violence. In many cases, schools have reportedly been unguarded, prompting criticism about the military’s failure to protect civilians. Citing the country’s main teachers union, Amnesty reported that roughly 1,000 teachers have abandoned their posts across the north since 2011. The Islamists have also claimed deadly strikes on the police, military, churches, mosques and a United Nations building. 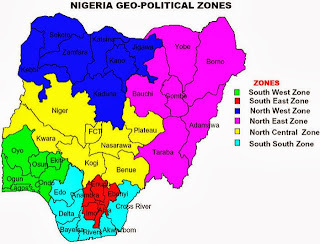 In mid-May, Nigeria declared a state of emergency across the northeast and launched a massive offensive aimed at crushing the insurgency. Defence officials say their campaign has left Boko Haram in disarray, with the group now only capable of hitting soft targets. While recent violence has largely been concentrated in remote areas, hundreds have been killed since May, casting doubt on the success of the military offensive. A toll earlier this year estimated that the conflict has claimed more than 3,600 lives, including killings by the security forces, but the current toll is likely much higher. Boko Haram has said it is fighting to create an Islamic state in the mainly Muslim north of Nigeria, Africa’s most populous country and top oil producer.